Promote transparency and competition in the remittance market and make remittance transfers to and within Africa, cheaper, safer, faster and easier so as to maximise their impact on the social and economic development in across the continent. The institute was conceived within the framework of the Africa-EU partnership on Migration, Mobility and Employment in the Joint Africa EU Strategy adopted in Lisbon in 2007 and in collaboration with the World Bank Group (WBG), the African development bank (AfDB), the International Organization for Migration (IOM). It was then established as a Specialized Technical Office of the African Union with the aim to assist the African Union Member States to maximize the economic and social impact of remittances. iii) Leverage the potential impact of remittances. The overall objective of the Institute is to harness migrant remittances for social and economic development in the continent with the aim of alleviating poverty in Africa. AIR has three specific objectives. Improve the statistical measurement, compiling and reporting capabilities of Member States on remittances data. The size of remittance flows to and within Africa has been consistently estimated at over US$60 billion since 2010. Though the figures being reported are high, Remittance data compilers consider that they are substantially understated due to many factors, including (1) the lack of efficient remittances data collection and reporting system in many African countries and (2) the large scale of use of informal/unregulated channels and the lack of capacities to estimate those transactions. AIR supports African Central Banks and Statistical Agencies, through its Technical Assistance Programme (Link to the TA Programme), to work towards the improvement of remittance data collection techniques for better monitoring of the flows and development of sound leveraging policies. Promote appropriate changes to the legal and regulatory frameworks for remittances, payment and settlement systems as well as use of innovative technology so as to promote greater competition and efficiency, resulting in reductions of transfer costs. Remittances to Africa are hindered by a number of challenges, which can be particularly severe or even entirely unique to the Continent. Among those is the high cost of remittances transfers to and within Africa. 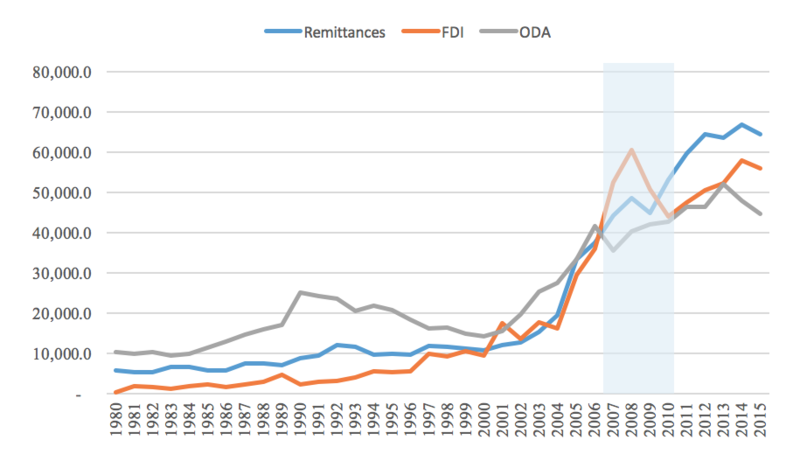 The reduction of the cost of remittance transfers has become a global agenda. African and European leaders committed in Valletta, Malta in November 2015 to ‘By 2030, reduce to less than 3% the transaction costs of remittances and eliminate remittance corridors with costs higher than 5%. Moreover, the UN General Assembly, in September 2015, endorsed a target (SDG, 10c) for the reduction of remittances transfer costs to 3% level by 2030. Within its Technical Assistance programme, AIR assists the African Union member States to develop and implement sound policies to promote the reduction costs of remittance transfers to and within African to increase. This programme aims, among others, to assist Member States to either develop or upgrade their remittances market regulatory frameworks so as to increase remittances sent through formal channels, reduce the cost of sending money and improve competition and efficiency. Leverage the potential impact of remittances on social and economic development of Member States, as well as promoting financial inclusion. Remittances play a critical role in poverty alleviation in recipient countries, mostly among the poorest recipients. If better harnessed, remittances contribution to the social and economic development of Africa will substantially increase. The African Institute for Remittances assists African countries to maximize the economic and social impact of remittances. Establish an Information center on remittances in Africa. The board oversees the management of the Institute. Members of the Board shall meet at least once a year in ordinary session in accordance with its rules of procedures and shall also be convened upon request, by one half of its members, or upon the request of (a) The policy organs of the Union; of (b) The Secretariat, in the event of a situation that necessitate holding of the Board meeting. Where applicable, the term of office of members of the Board shall be a non-renewable period of three (3) years. The Board shall elect from among its members, one of the Five (5) Ministers as its Chairperson, on a regional rotational basis for three (3) years. In the event of the Chairperson vacating his/her position before the expiration of his/her tenure of office for whatever reason, he/she shall be replaced by a Minister to be designated by his/her Region. The Legal Counsel of the Commission or his/her representative, without having a voting power, shall attend the Board meetings to provide legal advice as may be required. The Board may invite such expertise, from relevant professionals, as may be necessary. The Institute’s Executive Director shall act as the Secretary of the Board. f) A representative from the Host Country. The Executive Director is appointed by the Commission on the approval of the Board and serve for a period of four (4) years and renewable only once.